This past weekend, my cousin Logan and his wife Melody came down from Pennsylvania to visit! (Stay tuned for a post on our day in DC. We went to an awesome live butterfly exhibit at the Smithsonian!) They brought us some blueberries that they picked last year and froze so Mel and I made some Blueberry Coffee Cake Muffins. I say "Part 2" because I made these last fall. This time we used less blueberries and it made a world of difference! They turned out much easier to eat. These muffins are super moist and soft because of the sour cream. We also doubled the brown sugar streusel topping because... why not? 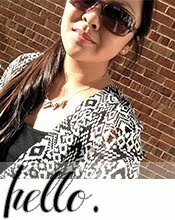 :) Below is the updated (and more awesome!) recipe. Preheat the oven to 350* and place liners in a muffin tin. In a large bowl, cream the butter and sugar for 5 minutes so that it is light and fluffy. Add the eggs one at a time, mixing in between. Add the vanilla, sour cream and milk and blend. In a separate bowl, whisk the flour, baking powder, baking soda and salt together. Fold in the blueberries, being careful not to smash them. If your blueberries are very soft, you may want to freeze them before adding so that your batter doesn't turn purple. Fill each muffin liner until 2/3 full. In a small bowl, combine all streusel ingredients. Add enough flour so that it forms a thick paste. 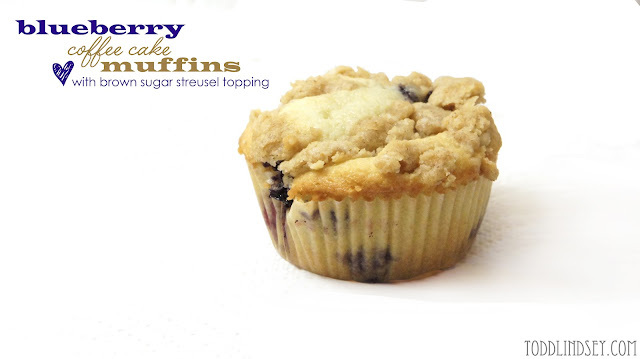 Top each muffin with a heaping tablespoon of crumbled streusel. Bake for 25-30 minutes or until a toothpick inserted into a center muffin comes out clean. Remove from the tin and cool on wire racks. Oh Goodness I'm in love with this too! I need to stop coming by when I'm hungry :). Thanks for stopping by and saying hi back. Hey you! These look wonderful! We make homemade muffins all the time because of my sons peanut allergy but I have yet to make them with a streusel! Thanks for sharing this recipe! I will give it a try with the beans! 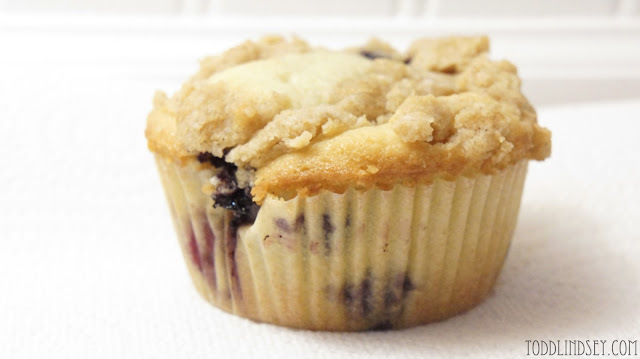 I love, love, love blueberries and although I must have 50+ recipes for blueberry muffins, I can't resist trying a new one, Your recipe using streusel sounds delicious so I will be making a batch today. Thanks! These muffins look so amazing! I found you through the Project Inspired linky party. You can visit my blog at www.kreativecreationz.com. Thanks for sharing! I bet the streusel topping makes these extra special! Looks so good! Thanks for sharing at Give Me the Goods Monday! Don't forget to stop by and check out our features on Sunday!